Ah, the Camp Eagle Classic. A three-day long party to celebrate the end of summer and the beginning of fall mountain bike racing in Texas. There’s food, water slides, zip lines, games, and a trail that will pop you in its mouth, chew you, and spit what ever is left of you and your bike out in the hot sun to die. And for some reason, it’s one of my better courses. 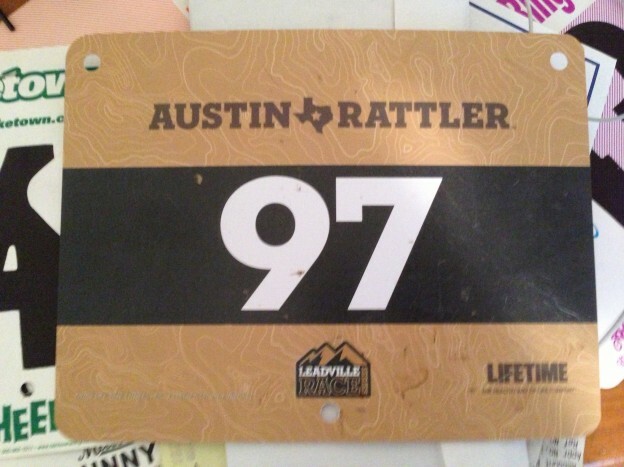 This entry was posted in Bike, Racing on September 1, 2013 by Andrew. There’s a certain level of peace knowing that you gave it your all and you still failed. Okay, that’s a little melodramatic, but it does convey the message I’m shooting for. On Friday, I took the day off of work and drove out to Warda, Texas. When I was telling people where my race was, everyone kept hearing “Florida”. And it wasn’t that I was saying Warda weird, I just think that people weren’t paying that much attention and their brain grabbed the most similar sounding location that they could think of, which was Florida. Warda doesn’t even have the same number of syllables. Warda’s kinda in the middle of no where, so I don’t blame them for never hearing of it. This entry was posted in Bike, Racing on June 2, 2013 by Andrew. I hurt my shoulder. 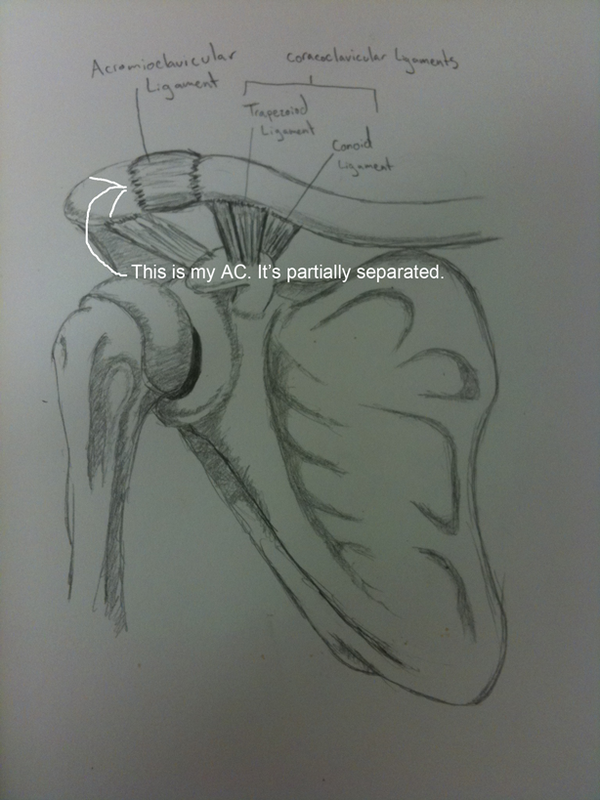 More specifically, I had a partial separation of my AC. I was going to write about how sometimes being injured can lead to becoming emotionally fragile and possibly depression, but some stuff happened and I was too emotionally fragile and depressed to write about it. Eventually, as time went on, it became time to write about my latest race. 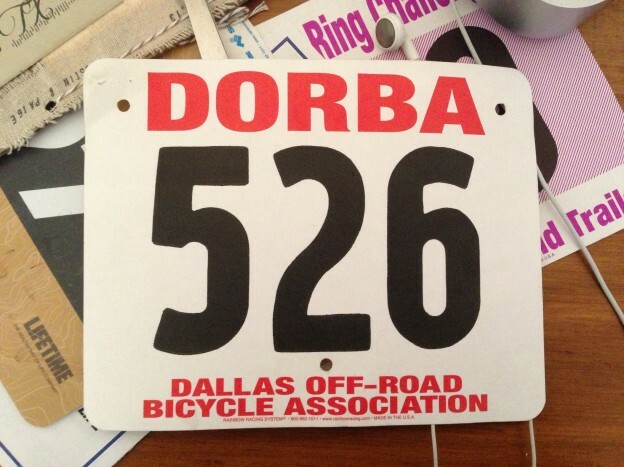 This entry was posted in Bike, Racing on May 7, 2013 by Andrew. Everything was going so well. I ate right when I planned to, I had most of my water bottle down. I was not going to bonk. I knew I was pushing hard and I was doing about 13.4 mph average. It would probably drop down later when I would settle in to a more long-term pace, but I was feeling good. I was passing people and just having a blast. It was about eight miles in, we were all in a line going though one of the few single track sections and I was just chatting up the people in front of me and the ones behind me. I must have misjudged a turn and my front wheel hit the loose dirt on the edge and lost traction. I must have closed my eyes because I remember black and then pain. 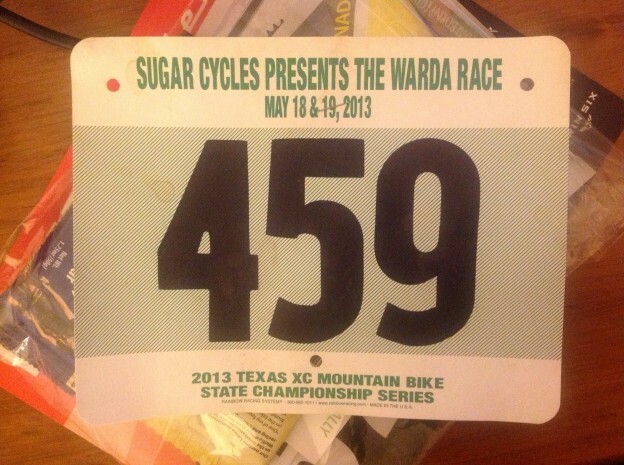 This entry was posted in Bike, Life, Racing on April 14, 2013 by Andrew.